The Merrimack Valley Beekeepers Association (MVBA) is holding its 2019 Bee School on every Tuesday from March 5 to April 2nd (4/9 is a snow day) at St. James United Methodist Church located at 646 Daniel Webster Highway in Merrimack, NH. Classes will start at 6:30 pm. Starting with the second class on March 12th, instructional videos will be shown at 5:30 before the class begins. 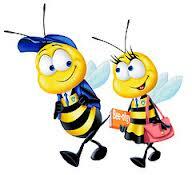 We will cover everything you need to know to start a hobby or small business in beekeeping. The classes are taught by experienced beekeepers and are meant to be interesting to all ages as well as fun. You will have the opportunity to purchase equipment and bees and bee packages from local suppliers. If you are new to MVBA, the class fee for 2019 is $40 for single, $50 for family which includes a one year membership in the MVBA. How many years of beekeeping under your belt?